I never believed that I’d be one to question God’s goodness, but somewhere along the way, the idea of God’s love and God’s goodness became disconnected. There were never any explicit messages ingested that made me believe God had malicious intent towards humankind. It was much more subtle than that. It was the insinuated message, disguised and buried within questions that made God’s goodness appear to be less inherent and nonnegotiable, and more debatable, obscured, unreliable even. Questions like How could God allow something like 9/11 happen? Or Why wouldn’t God want to heal a 22-year-old dying of liver cancer? Statements like God let Job suffer to build his character. Often, what we see and experience has a heavy hand in shaping our theology of God’s goodness. 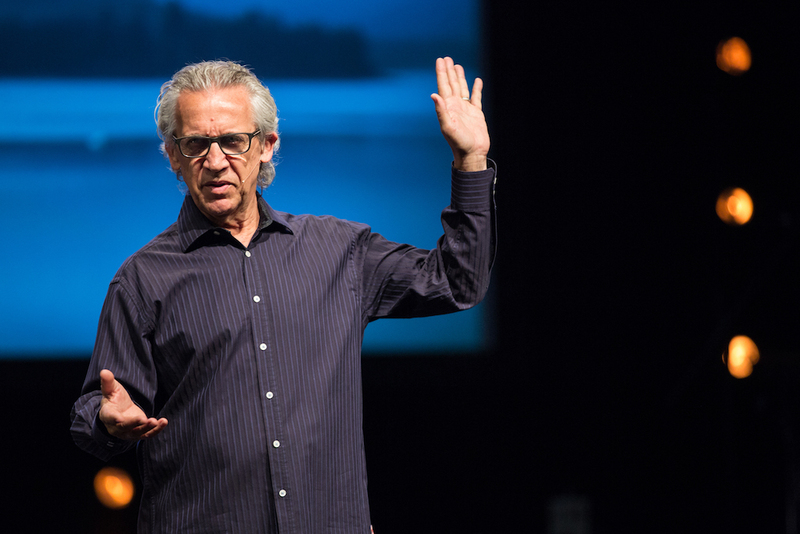 And herein lies the problem: as Bill Johnson, a Senior Leader of Bethel Church, adroitly and persuasively illustrates in his book and e-course, “God Is Good,” no circumstances will ever have the power to limit or lessen the goodness that God fully embodies unless we allow it to. As Bill Johnson wonderfully reminds us in “God Is Good,” Jesus answers every question we could ever ask. When we find ourselves lacking the forward momentum for growth, it’s important to know that we can turn to solid resources to get us back on track. Resources like “God Is Good,” and DestinyImage.TV, a streaming platform for influential Christian teachers, who remind us of the true character of God, and point us to the most important truth of Christianity—the primary truth that “God Is Good” hinges upon the key to understanding God’s goodness. It’s so much simpler than ever thought to be. As Bill Johnson wonderfully reminds us in the “God Is Good” course, Jesus answers every question we could ever ask. Does the idea of God permitting evil sound the same to you as God causing evil? Truly, “[v]ery few people have issues with Jesus and what He stands for,” Johnson notes. It’s usually not Jesus’ existence, mission to heal and bring freedom or his message of love and acceptance that people reject. It’s the looming idea of “God”: God coming to smite, God causing or allowing the suffering and death of people on earth, God who doesn’t have love for His creation at the center of His heart. RELATED ARTICLE: Doubting God and His Plan for You? But this simply is not who God is. If we accept the fact that Jesus came to reveal God as the Word made flesh, then “whatever [we] think [we] know about God that [we] can’t find in the person of Jesus, [we] have reason to question.” In this statement alone, the message of “God Is Good” settled my heart and brought a new sense of peace. Everything we know about God, we know because of Jesus Christ. And all we can see in Jesus is goodness. We see Jesus feeding the hungry, healing the sick in body and spirit, inviting the marginalized into his saving presence, coming to earth as the physical embodiment of God’s love and goodwill toward humankind. When I read “God Is Good,” I realized I had allowed myself to be deceived into thinking that somehow, God could love us while sometimes lapsing in goodness—living as if God looked away while people were senselessly killed, while depression and physical pain prolonged people living in silent shame, believing that God must have some point in letting painful things happen. So, let’s let the whole world know. 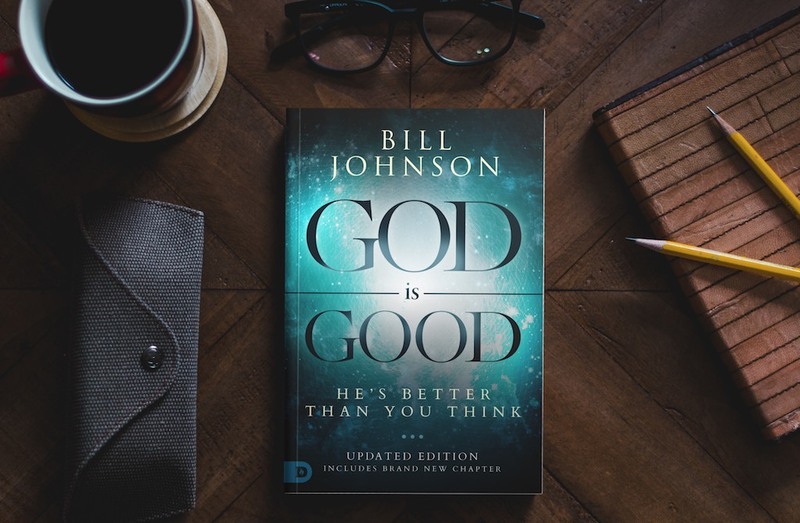 Bill Johnson’s book, “God Is Good,” is available for purchase through Destiny Image in paperback with newly added chapters. The powerful “God is Good” e-course is available for streaming through DestinyImage.TV. To watch moving biblical instruction from top Christian teachers at home on your computer, or wherever you have your mobile device, visit DestinyImage.TV. *Free 30-day trial with subscription.